Chevy. For the young set. Once upon a time, General Motors had five major brands. Why five? Because there were five decades in the car buying experience. GM had a car for every need and every age. Back in the day (my Dad’s day), everyone understood how to buy GM brands. Chevrolet was for young couples in their twenties, just starting out in life. In your thirties, you traded up to a Pontiac — a little nicer, not quite so bare bones. Oldsmobile was the choice for forty-somethings — a good middle of the road brand. In your fifties, you opted for a Buick — more luxury, near top-of-the-line. When you reached your sixties (and beyond), you wanted to signal that you had made it — so you bought a Cadillac. In the late 80s, Tom Wolfe’s Bonfire of the Vanities had a good line comparing a European brand with GM. One of Wolfe’s characters talks about getting rich and buying a Mercedes. 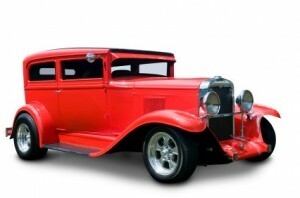 Another character responds, “Oh, a Mercedes is just what a Buick used to be.” I recently bought a large Volvo sedan. I like it a lot but I also think, “Oh, it’s just a Swedish Cadillac”. So, what happened to GM? They stopped building brands and started building cars. Instead of clearly differentiating their brands, they decided to aim for manufacturing efficiency by consolidating platforms, parts, and styling. They may have saved some money on the manufacturing line but they wound up producing indistinguishable cars. Whey would I pay more for a Buick when it looks just like a Chevy? GM reached the nadir with the Cadillac Cimarron — a re-badged Chevy Citation. A GM engineer was asked, “What’s the difference between a Citation and a Cimarron?” He famously replied, “About $5,000”. What’s the lesson here? Brands belong to buyers, not sellers. GM thought they owned the brands and could treat them to a dose of industrial efficiency. The move made sense from a manufacturing perspective but not from a brand perspective. Once the brands lost their distinction, they also lost their markets. It’s probably time to review your brands. Don’t review them based on features or functions — that’s the way sellers think. Rather, review your brands based on which markets they appeal to. Are those markets really different from each other? If they are, then keep accentuating the brand differences. If they all appeal to essentially the same market, however, you may want to consolidate your brands. There’s no point keeping five brands around if potential buyers can’t tell them apart.